For paying large sums of money, this check offers maximum safety and is readily accepted. Your Debit Card is not a credit card, so you don’t pay finance charges. There’s no need to write a check and wait for approval. The money for your purchases comes directly out of your primary checking account at the time you spend it. You can use your Debit Card at any ATM or wherever MasterCard® debit cards are accepted, including participating restaurants, department stores and online shopping! Each transaction is detailed on your monthly checking account statement for easy tracking. You can also access your transaction details online. Your Debit Card gives you more security than cash or checks. You may limit your liability for unauthorized transactions made with your card. Just promptly notify the bank if your card is ever lost or stolen. To report lost/stolen MasterMoney Debit Cards, call 1-800-472-3272. To activate your MasterMoney Debit Card, call 1-800-992-3808. 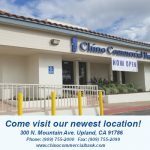 To apply for a Debit Card, you must have an existing Chino Commercial Bank checking account. Simply Contact Us or stop by one of our branches and we will gladly assist you with the application. Electronically deposit periodic payments – such as salary, pension, Social Security, and Supplemental Security Income (SSI) benefits, or other regular monthly income – into your checking, money market, NOW, or savings accounts. E-Statements are now available when you sign-up for Online Banking! More than 3.5 million businesses are enrolled in EFTPS, a tax payment system offered by the U.S. Department of the Treasury, saving time and money in paying their federal business taxes electronically. 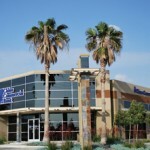 EFTPS was designed with the busy taxpayers in mind. Unable to get to the bank in time? 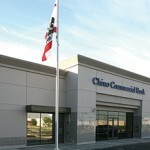 Chino Commercial Bank provides a night drop deposit service for after hours. No key or fee required! We offer notary services regardless of the nature of the business. While savings bonds will no longer be available in paper form, they remain available for purchase as electronic issues in TreasuryDirect®. To learn more about electronic savings through TreasuryDirect, visit www.treasurydirect.gov. Lost a check? Call us today or use our Online Banking to stop payment on an issued check. Ideal for same-day transfer of high-dollar payments. 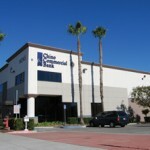 Chino Commercial Bank maintains its own Fed Wire Transfer Department and receives and transmits domestic and foreign wires directly through the Federal Reserve Bank. In addition, we have several correspondent banks for foreign wire requirements. Recurring wires may be set up and authorized in advance. Contact us with any questions you may have or to enroll in the wire transfer program.